Michael Anastassiades’s crimson Floor Composition exemplifies the Cypriot designer’s fascination with a light bulb’s glow. The first lamp Michael Anastassiades ever designed was called the Anti-Social Light. It only turned on when the room was completely soundless, and would dim to darkness at the first hint of chatter (and eventually lit up if you stopped talking), making silence integral to experiencing the fixture in its full, illuminated glory. 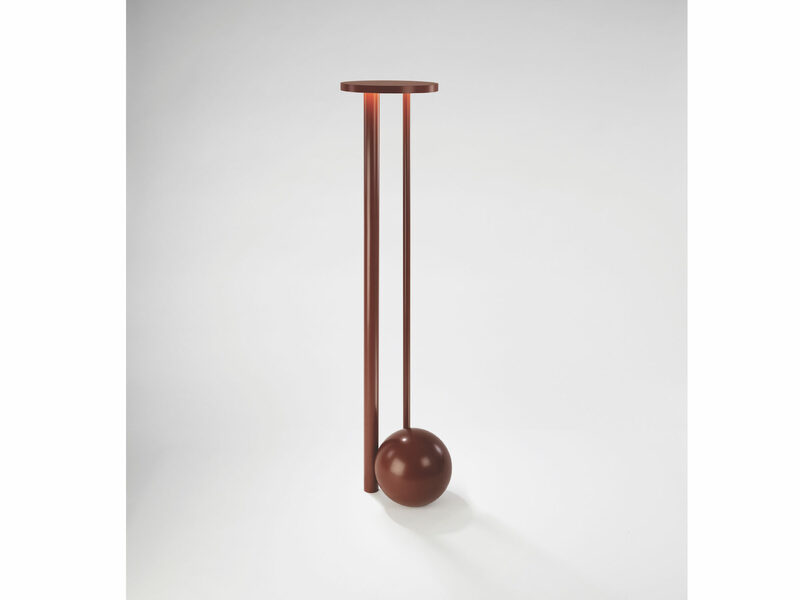 For fans of the Cyprus-born, London-based designer—who’s known for his pared-down creations made from raw, industrial materials that seek to be timeless, not photogenic (though they’re usually both)—his recent Floor Composition lamp invokes quietude through a different means: alluringly soft, indirect light, reflected in color. The aluminum fixture, pictured above, fuses a series of rods and circles to create a balanced form covered in a crimson powder-coated finish. “I’m fascinated with the glow of light and that’s where I start when I design a lamp,” Anastassiades said in an interview last fall. In this case, a warm blood-orange hue emanates from the top of the lamp in an entrancing, almost magical way that complements the rest of the structure. It’s a treat to take in.